Powerful teaching on spiritual warfare from the "Christian Living Classics" series. Believers need not wonder about satanic principalities and power and how they are to engage them in battle. 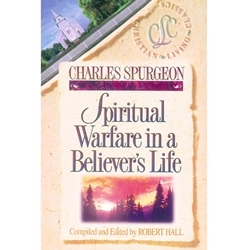 These life-changing messages of Spurgeon will meet you where you live and help you become more than a conqueror in spiritual warfare. The Believer's Life series contains the best of Charles Spurgeon's (1834-1892) practical teaching on essential subjects of Christian living.